Explore the marine wildlife of Reunion Island. The Day-light cruise, in half day: from 8h30 am to 1pm or from 2pm to the sunset. 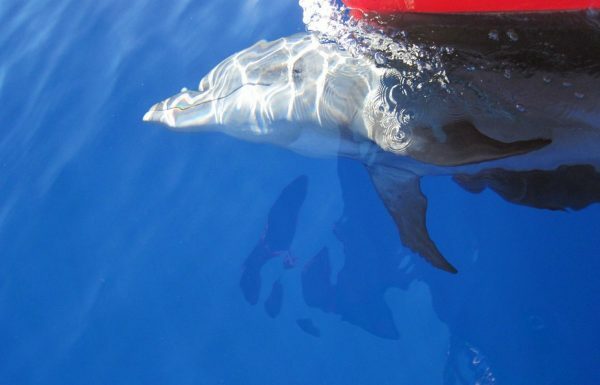 Go in search of dolphins, turtles, flying fishes, birds, humpback whales! Our experienced sailors will comment this trip and will be pleased to answer your questions. Provide you a copy of your confirmation of reservation. The remainder of your reservation must be paid in cash or bank card after the release. Information collected from this form are subject to a data processing intended for the management of the reservation by the Fairy Lady Captain. In accordance with the “and freedoms” of 6 January 1978, you have a right to access and rectify information concerning you. Click on the desired day in the calendar of reservations. An email confirming your reservation is sent to you. Please present it to the captain upon arrival. Envoyer un émail au capitaine.